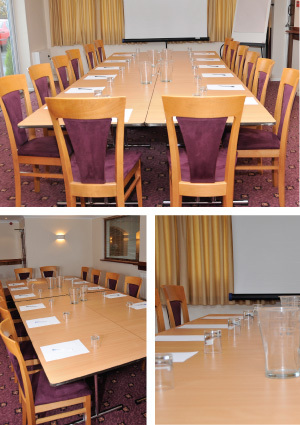 The Tri Star offers ideal modern facilities tailored to suit business conferences and small events at competitive rates. Free car parking and discounted rates for accommodation are available for conference or function attendees. Our private conference room offers 305 sq m of space which can accommodate up to 24 delegates (depending on layout) for business meetings. Separate adjoining areas are also available for use by conference attendees, providing additional space and comfort, ideal for workshops and break sessions. Freshly made buffet catering, tea and coffee and/or breakfast available on request. We also specialise in hosting celebrations and social events, including funeral wakes. We can provide buffet catering, a fully licensed bar and separate adjoining rooms to accommodate up to approximately 80 people. Our staff will be available to assist in planning your event and will be on hand throughout the day to ensure your day runs smoothly. Please contact us to obtain further information or to arrange an appointment to view.